Hey everyone! We are super excited to announce the schedule for the TEAR YOU APART Blog Tour which begins on January 19th! The tour runs from January 19th-23rd and 26th-30th, will have one stop per day and will consist of a mix of reviews and exclusive story posts from Sarah. There is also a tour-wide giveaway for a 10 signed finished copies of this awesome book. So be sure to stop by any or all of the stops for a chance to win. An edgy fairy tale retelling of "Snow White" set in the world of Kill Me Softly for fans of Once Upon a Time and Grimm. Faced with a possible loophole to her "Snow White" curse, Viv goes underground, literally, to find the prince who's fated to rescue her. But is life safe in the Underworld worth the price of sacrficing the love that might kill her? POP CULTURE CAN'T GET ENOUGH OF TWISTING FAIRY TALES: ABC's Once Upon a Time and NBC's Grimm continue to pull in high ratings. And with the anticipated Angelina Jolie Maleficent (2014), the film adaptation of Stephen Sondheim's Into the Woods (2014), and Kenneth Branagh's Cinderella (2015), Hollywood is infected with fairy tale fever. CAMEOS FROM FAVORITE CHARACTERS: Viv, who first appeared in Kill Me Softly trailed by her brooding boy-toy Henley, takes center stage in this new Beau Rivage tale. Other familiar characters including Blue and Jewel are back to help her defy her destiny. TEENS LOVE THIS FAIRY TALE WORLD: Kill Me Soflty was a 2013 YALSA Teens' Top 10. Readers have been clamoring for a sequel. 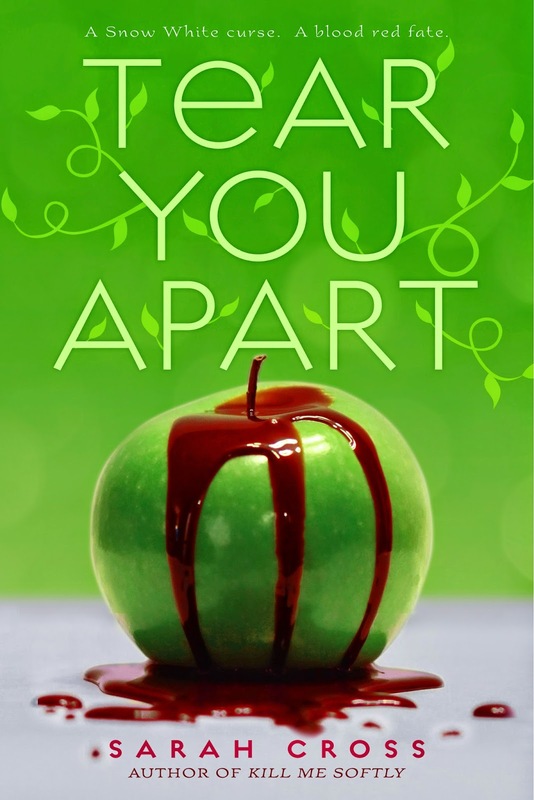 A FRESH TAKE ON THE FAMILIAR: Drawing on "Snow White," "The Twelve Dancing Princesses," and "Rumpelstiltskin," Tear You Apart is very conscious of the way these stories have pervaded pop culture, twisting known tropes into an exciting new story that can stand on its own.